The Messenger version of The Chef will be shorter than the novel. Facebook likely gets approached with ideas for projects on a regular basis, but when it was pitched by James Patterson, the social network’s creative team jumped at the chance to collaborate with the best-selling author. The result was a Messenger bot that Facebook is billing as a “digital novel experience” for The Chef, Patterson’s upcoming novel, which will be published in print in February 2019 by Hachette Book Group. A Facebook spokesperson said the initiative is an experiment, and there are no set plans to monetize it or to approach other potential partners for similar projects. The spokesperson added that Facebook did not pay Patterson to participate in the project. 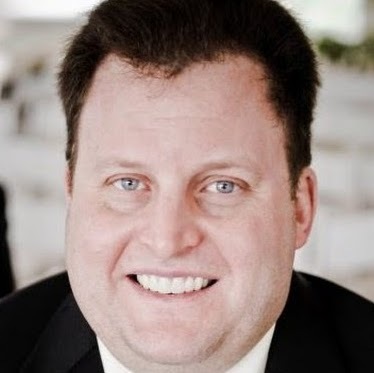 1stAveMachine worked on content creation for the project. Patterson said at a press event in New York on Monday that he approached Facebook with the idea about one year ago, with two upcoming novels in mind, adding that doing new things is important for the publishing industry, which needs more creativity. People can access the bot by searching for “The Chef by James Patterson” in Messenger’s search bar and tapping on the icon. While the Messenger version of The Chef will be shorter than the novel, it will also provide what Erin Murray Manning, who works on influencer partnerships at Facebook, called “a unique, immersive experience,” with parent company Facebook and corporate sibling Instagram joining Messenger in the effort. 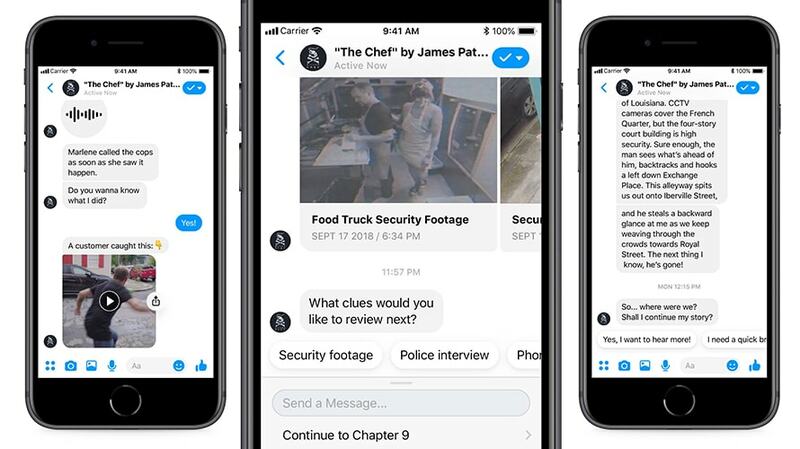 The Chef on Messenger will include elements such as video and audio recordings (one example: a video of a police deposition by the book’s main character, Caleb Rooney), a Facebook group where fans can discuss the novel, question-and-answer sessions with Patterson on Facebook Live and an Instagram profile for Rooney. Patterson agreed, calling the idea “stunningly exciting” during the press event and joking that Facebook promised that at least 1 billion of the 1.3 billion monthly users on Messenger would read The Chef.